One kid rushes in the door from school, heading to his room to throw on his soccer uniform and grab his cleats. My younger daughter is screaming from her room that she needs help getting on her ballet tights (seriously, who invented tights anyways?!). Then there is my husband who is trying to finish his last conference call of the day before he takes the soccer player one direction and I take the tiny dancer another. We’re all starving, but it’s too early for dinner and we’re already running late. 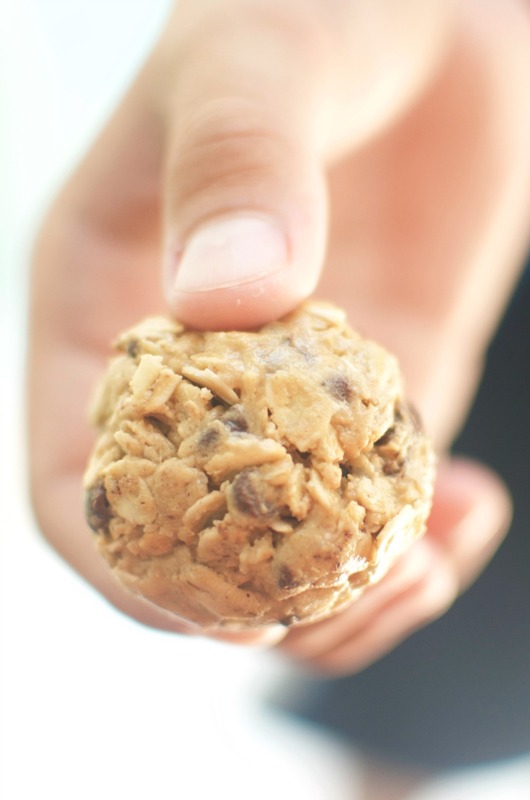 That’s when I started making these healthy and tasty No Bake Peanut Butter Protein Balls and they’ve been a life saver. They seriously only take minutes to make and they are the perfect energy boost we all need to make it through our after-school activities. I usually mix-up a big batch and they keep beautifully in the fridge for days. 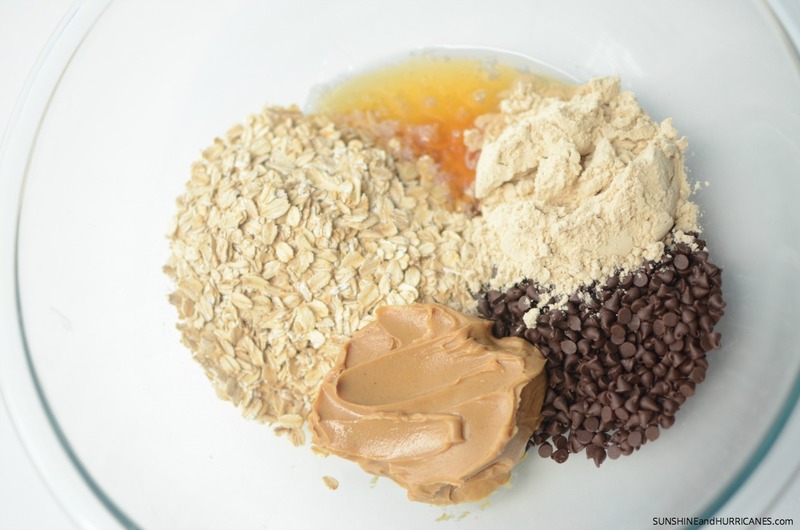 These were the ingredients I used for this batch of protein balls. I added coconut oil because of the mild sweet flavor it adds and all the health benefits. However, you can easily swap out the coconut oil for another 1/4 cup of honey. I also love using local honey that I pick up at our farmer’s market since I’ve got kiddos with allergies and it’s been shown to be beneficial. However, you can also get a great high quality honey at your local grocery store. If you can’t tell already, I do put some thought into the ingredients when preparing food for my family. 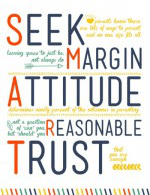 We’re so active and always on the go, I want to make sure we feel our best. What we eat is a big part of that. This is why I’ve used Bob’s Red Mill products for year. Their Old Fashioned Oats are a particular favorite of ours for everything from breakfast to baking. 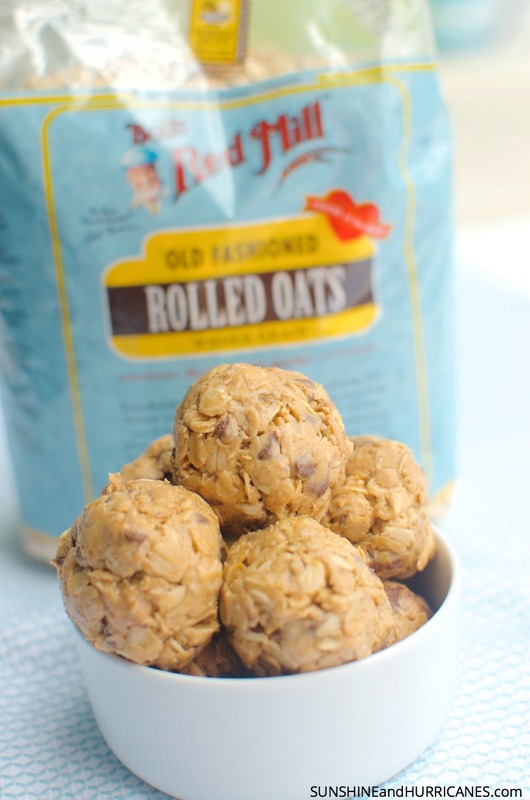 All Bob’s Red Mill oats are kiln roasted to give them a wholesome flavor that we enjoy and they definitely added to the yummy factor of these protein balls. 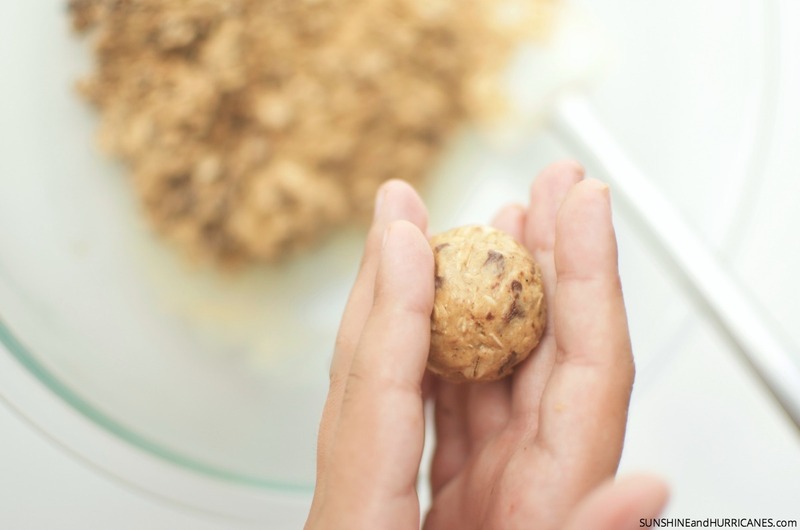 Plus, the oats are rich in dietary fiber, which helps make even just one of these protein balls really filling, helping us bridge that busy activity time from after-school until dinner. Okay, so here is the really difficult part, making the protein balls. It will take you all of about five minutes, and maybe less, if you enlist your kiddos to help you out like I did. Simply dump all your ingredients into a large bowl and mix with a big spatula. It will come together in a slightly sticky batter that easily falls apart. If you find it hasn’t come together quite the way you thought, or seems a bit dry, you can add another 1/4 cup of peanut butter, a little more coconut oil or every so often I even add in a splash of milk. Then you simply take small handfuls and roll them into balls that are about the size of golfballs. Place your finished protein balls in an air-tight container and stick them in the fridge for 15-20 minutes to harden up a little bit. Although, honestly, we usually can’t wait to try these when I’ve made a fresh batch and we tend to gobble the first ones up as soon as they’re done. They’ll keep several days in the fridge and they are handy for more than just for after-school pick me ups. I put them in my kids lunches, send them as their in-school snacks or even bring a big batch in our cooler for my son’s soccer games. 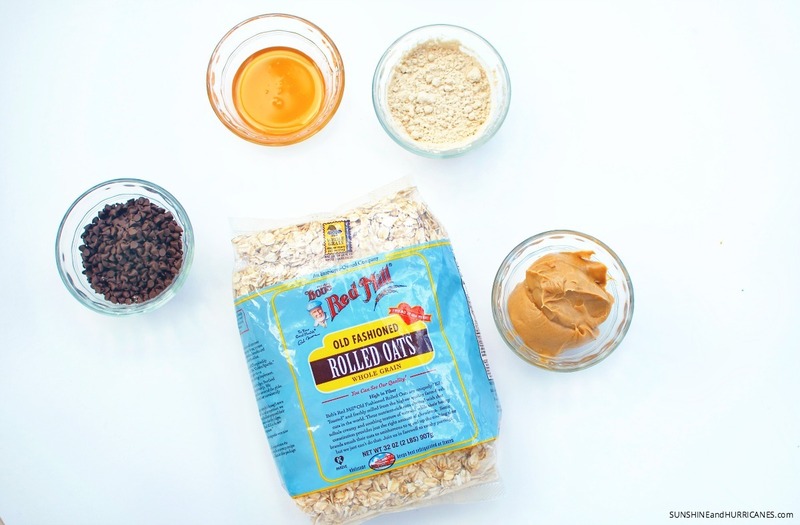 Now I didn’t think a healthy recipe that comes together in five minutes and that my kids will actually eat could get much better, but for a limited time, you can get a $1 off Bob’s Red Mill Old Fashioned Oats with THIS COUPON. Surely, that’s a good reason to give these delicious (and did I mention NO BAKE) peanut butter protein balls a try. I have little doubt that they will become a weekly staple in your house like they have in mine. 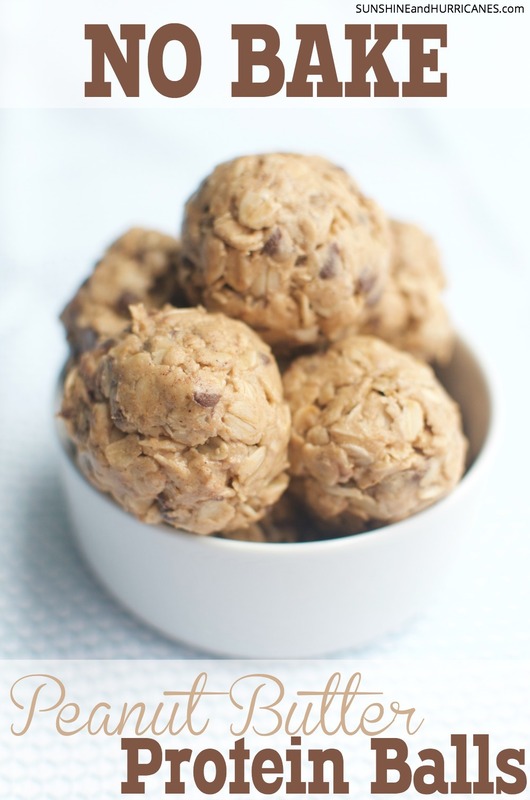 Do you have any other add-in ideas for these no bake peanut butter protein balls? 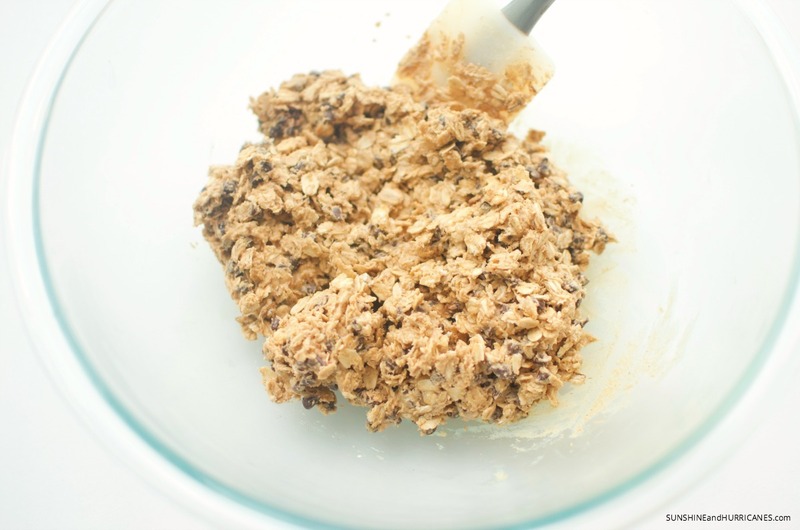 I never have a lot of time to spend in the kitchen so I love that these are no bake. 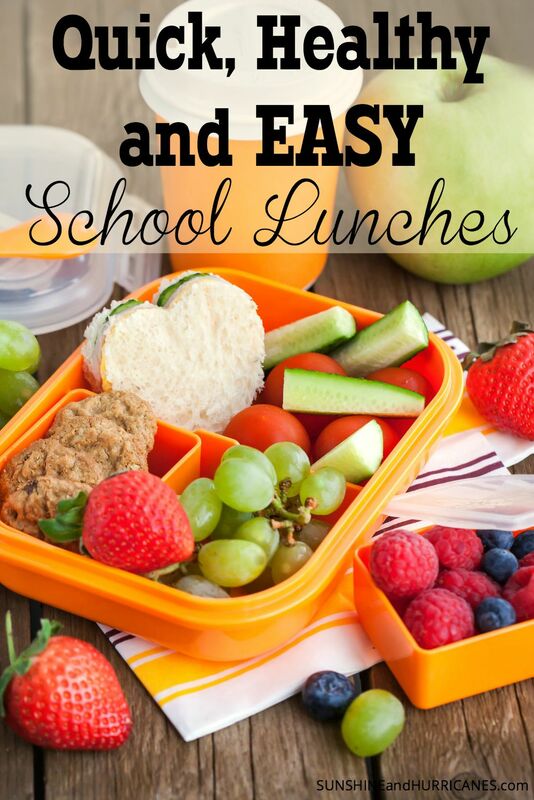 These are perfect for after-school snacks for the kids. These look really good! I love the idea of no bake and peanut butter is my favorite! I love peanut butter. I am obsessed with it. I tried it recently (I’m 24, I know shameful) and can’t live without it now! I love oreos dipped in Peanut Butter, they’re my fav! I love fun on the go treats like these! What a great idea ad it is no bake after my own heart! I make a recipe similar to this all the time. It’s so good and I can imagine these are blissful! What a fantastic, family-friendly snack! My little one would absolutely love this since he’s obsessed with peanut butter. I also think all the variations you suggested sound delicious. No bake recipes are my absolute fave! 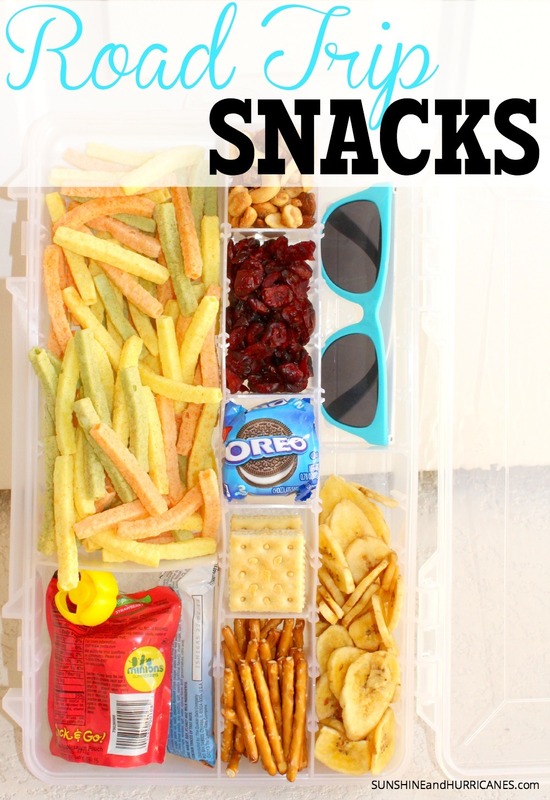 It’s perfect for lazy days or when you’re too busy to prepare a snack! We’re huge fans of peanut butter at home so I’m sure this will be a hit! This looks so yummy. I love that this looks so easy to make. My family would love this, for sure. Oh my word my hubby would be in lvoe with these. He is all about his peanut butter for sure. I like the no bake. You had me at no-bake! It’s still way to hot to crank up the oven. The ingredients sound yummy too. These are our favorite quick snacks. You can grab some out the door rather than skipping breakfast.